Like many of us, we all make resolutions at New Year to “do something new” or try something different this year. With January almost gone, how is your adventure planning going for 2013? We hope that this list of the world’s greatest river based adventures will stir you into action. 2: The Classic – The Grand Canyon: It IS the most famous river trip in the world. And with good reason. Our rafts allow us access to this stunning place, where time feels like it stands still and you float beneath the canyon walls, with it’s shadows and “moods”. A trip down the Colorado River is so much more than just rafting. We can gain access to incredibly scenic hikes otherwise inaccessible. 3: The Culture – The Zanskar, India: Few people associate India with rafting, but hidden in the north of the country in the stunning Ladakh region lies the Zanskar river. Often referred to as the Grand Canyon on Asia, far from being just a river trip, we’ll visit fascinating Buddhist monasteries and experience a unique culture that we have yet to find anywhere else in the world. 4: The Smorgasboard – California Dreamin’, USA: For those who just can’t get enough rafting, this may well be the trip for you. One week, 5 rivers, hotel accommodation, all inclusive meals, a multi-day on the Tuolumne and a run down the famous Cherry Creek Grade 5 river in California. 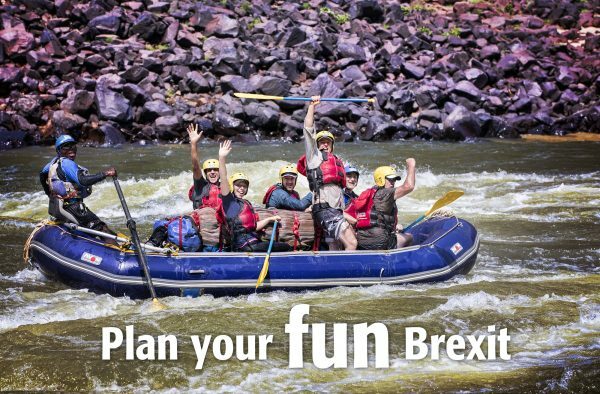 If rafting is your “thing” then this is your dream trip! 5: The Journey – The Tamur, Nepal: More often that not, it is far more difficult than we think to visit places in the world, not overwhelmed with tourists. This trip is one where the beauty of the trip is the journey both too and on the river. We get to the river walking with our 120 porters through Rhododendron Forests and gorgeous villages. Once at the river we tackle hundreds of rapids. This river is a gem! 6: The School – Morocco Kayak School: Did you promise to learn a new skill in 2013? This is one of those opportunities. Holiday yes. Learning experience, for sure! 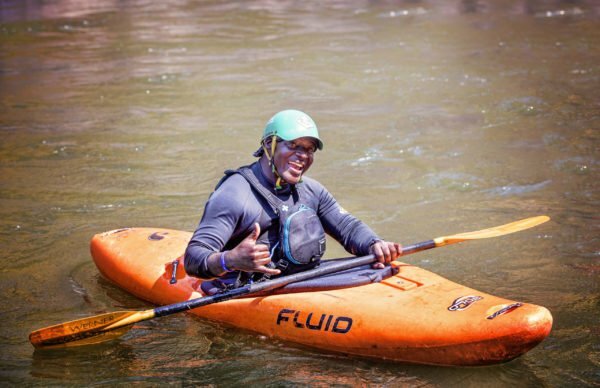 People who have never been kayaking before can achieve a competant level of paddling after just a few days with our world class kayak instructors who have taught people to paddle on rivers from the Ahansel in Morocco to the Zambezi. 7: The Heritage: Franklin River, Australia: Set in the heart of Tasmania in Australia is the stunning Franklin River. A journey back in time, the Franklin was one of the first areas in the world to become a World Heritage Site when the fight was taken to power companies to stop a proposed dam. Today you can visit ancient aboriginal caves and see exceptional wildlife like platypus on your journey down this classic river. 8: The Beauty: The Futaleufu River, Chile: There are few rivers in the world more stunning than the Rio Futaleufu in Patagonia. Through the clear turquoise pools, watch fish swim beneath you and tackle the world class rapids accompanied by some of the best river guides in the world. Add to that, gourmet food and wine… well it has to be adventure travel at it’s most comfy. 9: The Challenge: Rio Cotahuasi, Peru: If challenging rafting is your goal for 2013, there are few rivers more challenging and more beautiful than traveling through the world’s DEEPEST gorge on the Rio Cotahuasi. The river drops over 1 mile in vertical height over 80 miles in distance. Challenge tight, technical and demanding rapids and treat yourself to walks around ancient Inca ruins. 10: The Exploratory: Zamanti River, Turkey: After running the world’s greatest rivers for decades, for us too, we like to get fresh and run something new with our guests. Turkey has always been a favorite destination when we used to run the Coruh River in the east of the country. The Zamanti is a new but challenging river on the Anatolian plateau, where guests are not only treated to wonderful rafting, but a visit to Cappadocia for a brief look into Turkish history and a hot air balloon flight. 11: The Ultimate: Karnali River, Nepal: Very few river trips get to tick all the boxes for culture, whitewater, stunning beaches, great people, but the Karnali is one of those trips. 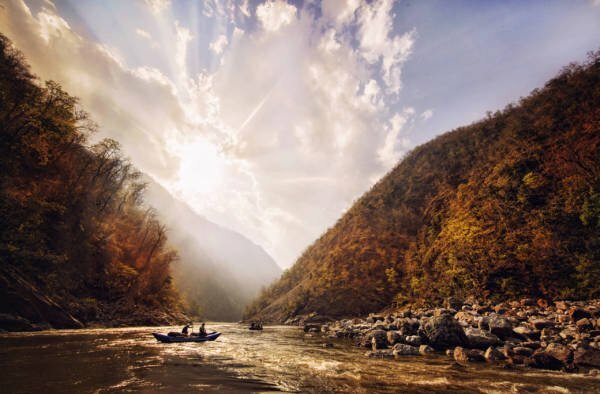 Based in the west of Nepal far from the many tourist areas of Nepal, The Karnali offers excellent rapids in the post monsoon, beaches that are untouched and the opportunity to see rare and fascinating wildlife such as leopard and mugger crocodiles. 12: The Family: San Juan, USA: If you are like many parents and want to share gorgeous places with your children in a fun and safe way, then this may be a perfect adventure for your little adventurers. The trip is suitable and fun as much for the 4 year old as it is for 74 year olds. The trip explores a gorgeous part of Utah and combines rafting, inflatable kayaking and loads of hiking! 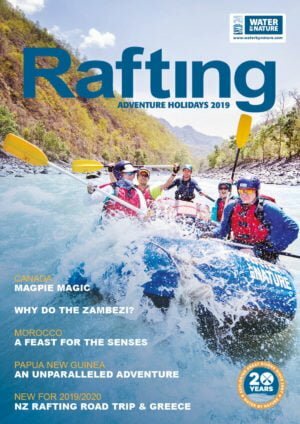 13: The Taster: Inn River, Switzerland: Not sure if rafting is your type of thing? This is the perfect weekend escape to the stunning riverside town of Scuol in the east of Switzerland. Imagine big mountains, cows and chocolate and throw into the mix a world class day on Europe’s best river and you have the Inn. The trip also offers some mountain biking, high ropes course and downhill scooters if you feel the urge. So there it is. 13 river based adventures for 2013. We hope you like them! See you on the river!